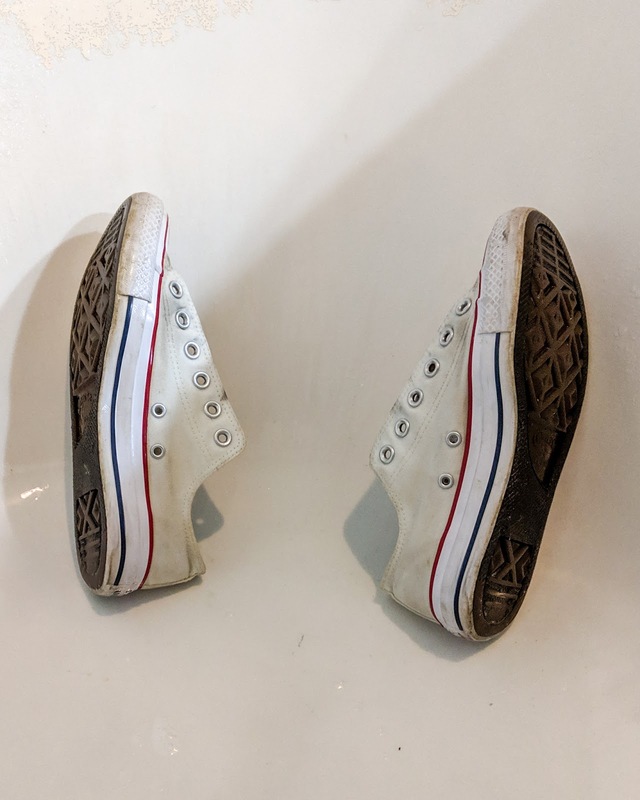 My starting point was slightly embarrassing, but to be honest I've had these shoes for a long time and hadn't washed them once yet. 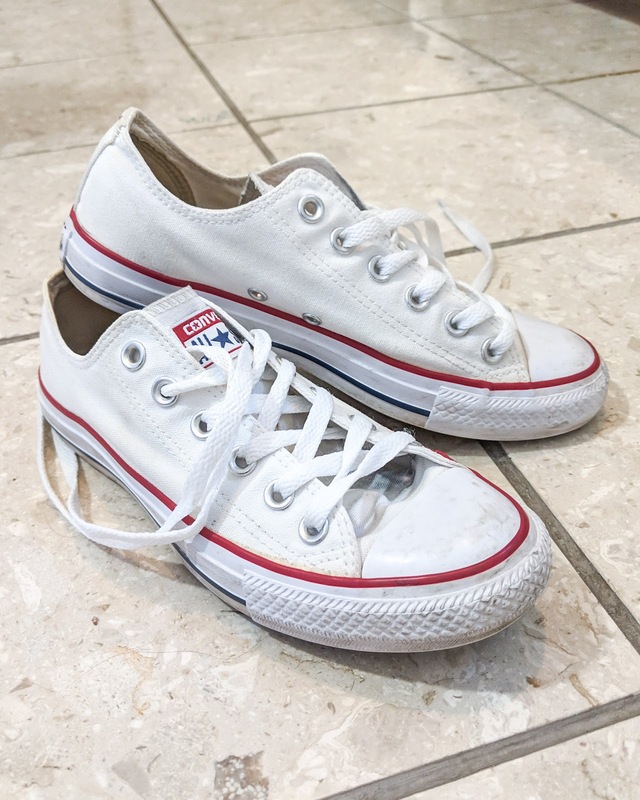 When I first bought them I used scotch guard on them to keep them as white as possible for as long as possible. With them being my favorite shoes though (perfect for mom life), they took a beating and they couldn't stay pristine forever. 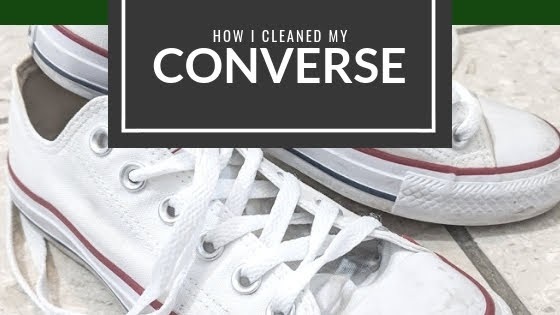 Remove shoelaces and soak them in a cup of water and OxyClean. 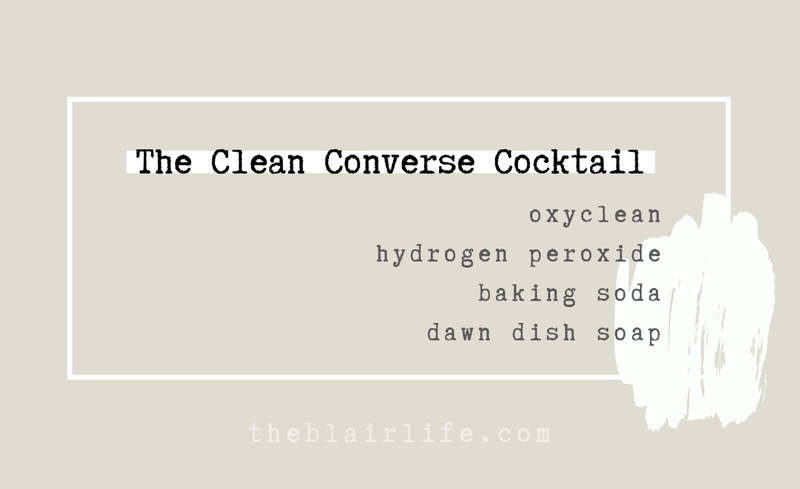 Mix equal parts baking soda, hydrogen peroxide and Dawn dish soap. Use a toothbrush and scrub the hell out of the shoes. Let sit for 5+ minutes then rinse and let air dry. 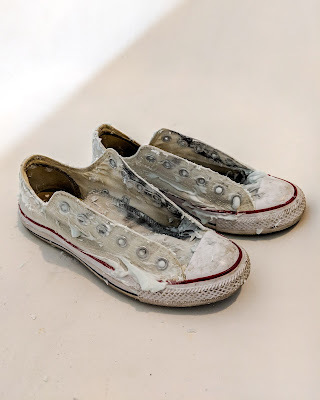 If they aren't white enough yet, soak in a bucket of water and OxyClean then run through the washing machine on cold/gentle with some towels. Then leave to air dry again. All the research I did said to avoid letting them sit out to dry in the sun, so I put them in front of an air vent in our house to dry as quickly as possible. 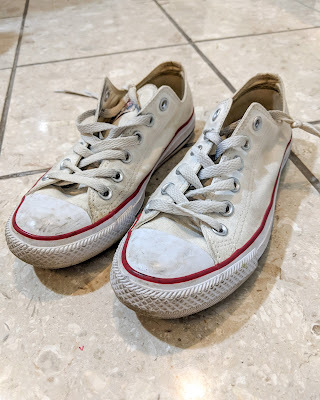 I knew these would get dirty again and need to be cleaned, so I really went for a clean yet lived in finished result. It is about time to do it all again (I didn't Scotch Guard after, whoops! ), and I may do a pair of Nate's shoes that are looking a little rough too. Thanks for stopping in! Hope you learned an easy way to clean your white canvas shoes without bleach/sun/harsh chemicals that may turn them yellow!